Prior to 1843, a small group of people (called a "Class") led by Rev. Danial Spessard had been meeting regularly in the village of Middleburg, now known as State Line, PA. In 1843, they organized into a church, United Brethren In Christ. Sometime that year, a Board of Trustees was organized for the purpose of constructing a church building. The cornerstone was laid in 1843 and the church building finished and dedicated by the presiding elder, Rev. Jacob Markwood. The pastors at the time of dedication were Rev. Jacob Bachtel and Rev. John Richards. Over the next century, the church grew and a meeting was called on November 26, 1948, to consider erecting a new building. In May 1949, a congregational meeting voted in favor of a new building. Groundbreaking took place on May 24, 1951. The new church, located just 14 feet east of the old church building, was dedicated on April 14, 1952. The cost of the new structure was $37,000 for the building and $8,000 for the furniture. It was known as the First Evangelical United Brethren Church. 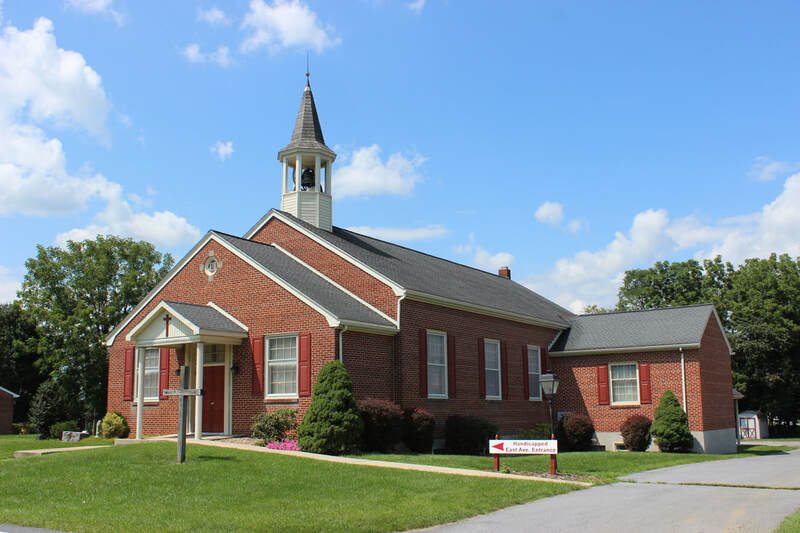 The fall 1983 expansion and renovation of what is now known as State Line United Methodist Church was in response to the need for additional space for worship and education. The project was designed by Don Baer of the Blake Company. By doubling the existing floor space, this project provided additional seating in the sanctuary, a pastors office, a secretary's office, an expanded kitchen, a larger nursery, a library, additional classroom space, rest rooms on both levels of the building and much-needed storage space. The final cost was a about $250,000. The result of this building project is not only a multi-functional facility, but an attractive house of worship. The State Line United Methodist Church exists today for the purpose of outreach and ministry to the State Line community and area, and to provide a place of worship and fellowship for those seeking to grow in grace and knowledge of our Lord Jesus Christ.